I am 64 and my son is 17 years old. Since I was 10 years, I have pigeons and hope, that my son follows me. Since 1974 I am an active judge and could judge the association exhibition twice. In the many years of being a pigeon breeder I won everything in the competition racing pigeons. 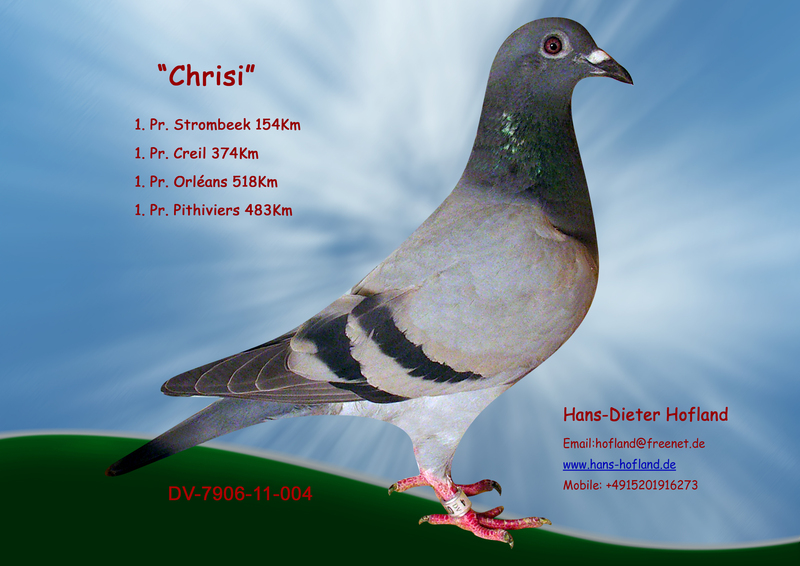 in 1998 I was German champion of young pigeons, and 5th place and 8th place afterwards. 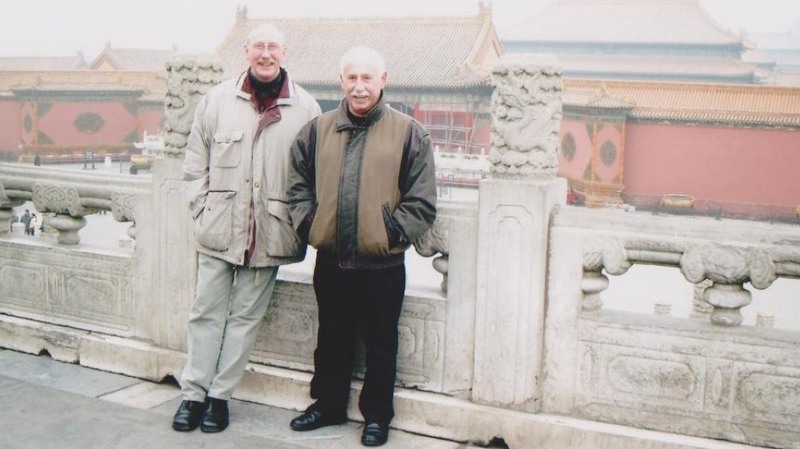 Since many years Gijs Peters from Budel in the Netherlands and I are friends, know each other for a long time and also traveled to China together several times. Yue, the chinese translator, Gijs Peters and me Nowadays Yue operates an chinese auction portal for pigeons and is expert for “Wunderwasser”, that she distributes with success. 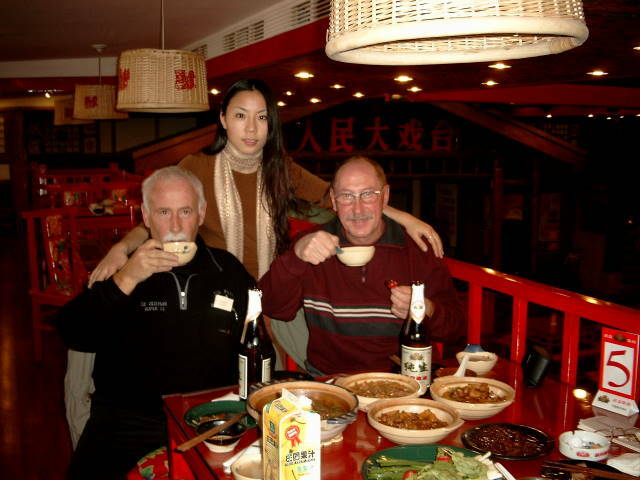 Henri Menten from Herselt in Belgium is a friend of mine as well as Henk de Bruyn from Boxmeer and Heiko Freialdenhofen, with whom I was in Thailand. 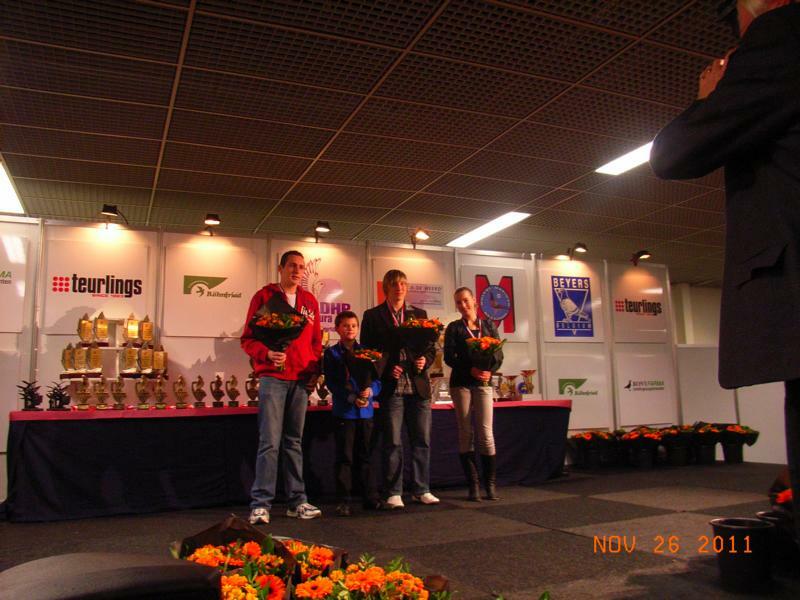 Since several years my son plays in Boxmeer, Netherlands with Youngsters and had tremendous success. 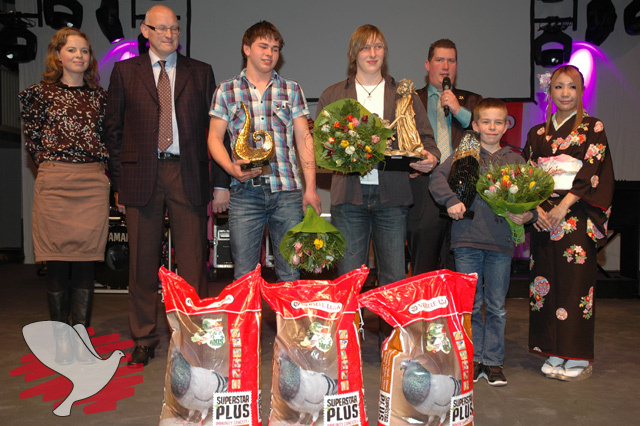 Besides winning the various championships in the last 3 years we managed to reach 28 x den first price and 2 x the “Golden Duif” trophy of the newspaper “DE DUIF”. 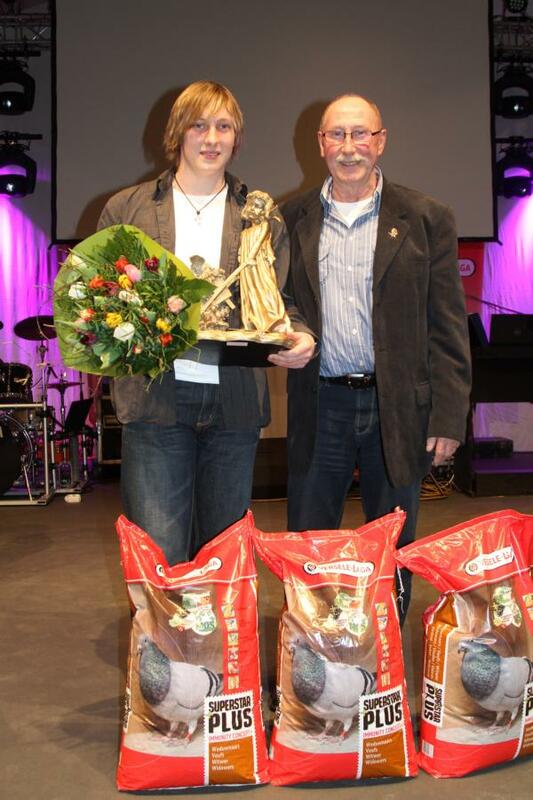 In addition Tobias was awarded the second place at the “championship of the best Youngsters” and the second place at the championship Hook Champion Youth in the Netherlands. Since some years I write reports about pigeon lofts for several pigeon newspapers, recently mostly for “Die Brieftaube”. Since 2012 I looked for a new challenge and changed my loft over to log distance and overnight races. But we kept a few selected breeders for pigeon racing. 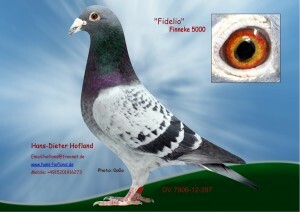 I bought the pigeons for long distance from the deceased German champion of long distance 2010 Ulli Devers from Wesel. There I got the very best offspring of all current national champions and the best breeders. Other breeders I bought at the total auction. 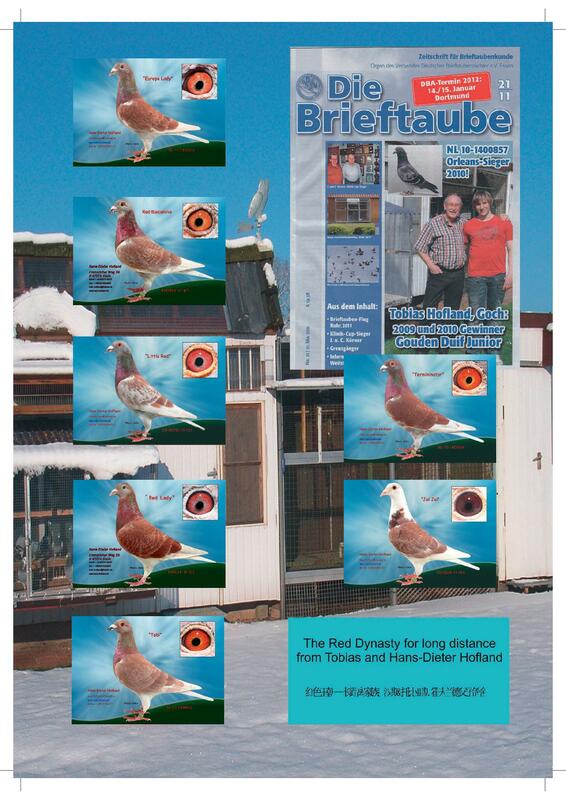 We added some pigeons of the Dutch Barcelona specialist Twan Bongers and of the Schlaggemeinschaft Freialdenhofen und Söhne, to which I have a very good relationship. With these new pigeons for long distance and overnight-flights, we want to be competitive in the next years long distance races.